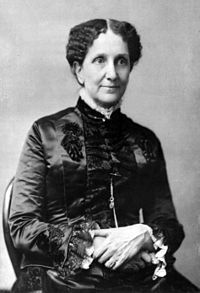 Mary Baker Eddy (July 16, 1821 – December 3, 1910) established the Church of Christ, Scientist, as a Christian denomination and worldwide movement of spiritual healers. She wrote and published the movement's textbook, Science and Health with Key to the Scriptures and 15 other books. She started several weekly and monthly magazines—the Christian Science Sentinel, The Christian Science Journal, and The Herald of Christian Science—that feature articles on Christian Science practice and verified testimonies of healing. In 1908, at the age of 87, she founded The Christian Science Monitor, a global newspaper that has won seven Pulitzer Prizes. Eddy's book Science and Health with Key to the Scriptures has been a best seller for decades, and was selected as one of the "75 Books by Women Whose Words Have Changed the World", by the Women's National Book Association. In 1995 Eddy was inducted into the National Women's Hall of Fame. In 2002, The Mary Baker Eddy Library opened its doors, giving the public access to one of the largest collections about an American woman. Eddy was born Mary Morse Baker in a farmhouse in Bow, New Hampshire to farmer Mark Baker (d. 1865) and his wife Abigail Barnard Baker, née Ambrose (d. 1849). Eddy was the youngest of the Bakers' six children: boys Samuel Dow (1808), Albert (1810), and George Sullivan (1812), followed by girls Abigail Barnard (1816), Martha Smith (1819), and Mary Morse (1821). Mark Baker was a strongly religious man from a Protestant Congregationalist background, a firm believer in the final judgment and eternal damnation, according to Eddy. McClure's magazine published a series of articles in 1907 that were highly critical of Eddy, stating that Baker's home library consisted of the Bible—though Eddy responded that this was untrue and that her father had been an avid reader. Eddy wrote that her father had been a justice of the peace at one point and a chaplain of the New Hampshire State Militia. He developed a reputation locally for being disputatious; one neighbor described him as "[a] tiger for a temper and always in a row." McClure's reported several similar stories from neighbors, including that he once killed a crow with his walking stick for violating the Sabbath. The magazine described him as a supporter of slavery and alleged that he had been pleased to hear about Abraham Lincoln's death. Eddy responded that Baker had been a "strong believer in States' rights, but slavery he regarded as a great sin." The Baker children inherited their father's temper, according to McClure's; they also inherited his good looks, and Eddy became known as the village beauty. Life was nevertheless spartan and repetitive. Every day began with lengthy prayer and continued with hard work. The only rest day was the Sabbath. Gillian Gill wrote in 1998 that Eddy was often sick as a child and appears to have suffered from an eating disorder, but reports may have been exaggerated concerning hysterical fits. Eddy described her problems with food in the first edition of Science and Health (1875). She wrote that she had suffered from chronic indigestion as a child and, hoping to cure it, had embarked on a diet of nothing but water, bread, and vegetables, at one point consumed just once a day: "Thus we passed most of our early years, as many can attest, in hunger, pain, weakness, and starvation." Eddy experienced near invalidism as a child and most of her life until her discovery of Christian Science. Like most life experiences, it formed her lifelong, diligent research for a remedy from almost constant suffering. Eddy writes in her autobiography,"From my very childhood I was impelled by a hunger and thirst after divine things, - a desire for something higher and better than matter, and apart from it, - to seek diligently for the knowledge of God as the one great and ever-present relief from human woe." She also writes on page 33 of the chapter, "Medical Experiments," in her autobiography, "I wandered through the dim mazes of 'materia medica,' till I was weary of 'scientific guessing,' as it has been well called. I sought knowledge from the different schools, - allopathy, homeopathy, hydropathy, electricity, and from various humbugs, - but without receiving satisfaction." In 1836 when Eddy was fifteen, the Bakers moved twenty miles to Sanbornton Bridge, New Hampshire, known after 1869 as Tilton. My father was taught to believe that my brain was too large for my body and so kept me much out of school, but I gained book-knowledge with far less labor than is usually requisite. At ten years of age I was as familiar with Lindley Murray's Grammar as with the Westminster Catechism; and the latter I had to repeat every Sunday. My favorite studies were natural philosophy, logic, and moral science. From my brother Albert, I received lessons in the ancient tongues, Hebrew, Greek, and Latin. As a youngster, she was often tutored by Albert, a brilliant young man in his own right who clerked for Franklin Pierce as a lawyer and later became a state politician himself before his untimely death. Another tutor was the Reverend Enoch Corser, who was Mary's spiritual guide, as well. He told his son Bartlett concerning Mary, "I never before had a pupil with such depth and independence of thought. She has some great future, mark that She is an intellectual and spiritual genius." "Bright, good, and pure, aye brilliant!" Eddy completed her education at the Holmes Academy in Plymouth and Sanbornton Academy at the Bridge, between the years 1838 and 1842, when the present Tilton School served as a female college. She had an instructor of more than average talents in Professor Dyer Hook Sanborn. He was the author of a treatise on normal school teaching, and his "Analytical Grammar" went through eight editions. He was also the town's "superintending school committee" and he became Representative in 1845. Lucy Cross, historian of Northfield, states that it was a "celebrated school," for he was a "model educator," turning out "many finely educated lady teachers." Mary Baker Eddy served as a substitute instructor at the same institution after its name had changed to the New Hampshire Conference Seminary and Female College. Bates and Dittemore write that Eddy was not able to attend Sanbornton Academy when the family first moved there, but was required instead to start at the district school (in the same building) with the youngest girls. She withdrew after a month because of poor health, then received private tuition from the Reverend Enoch Corser. She entered Sanbornton Academy in 1842. My mother, as she bathed my burning temples, bade me lean on God's love, which would give me rest if I went to Him in prayer, as I was wont to do, seeking His guidance. I prayed; and a soft glow of ineffable joy came over me. The fever was gone and I rose and dressed myself in a normal condition of health. Mother saw this and was glad. The physician marveled; and the "horrible decree" of Predestination – as John Calvin rightly called his own tenet – forever lost its power over me. Eddy was badly affected by four deaths in the 1840s. She regarded her brother Albert as a teacher and mentor, but he died in 1841. In 1844, her first husband George Washington Glover (a friend of her brother Samuel's) died after six months of marriage. They had married in December 1843 and set up home in Charleston, South Carolina, where Glover had business, but he died of yellow fever in June 1844 while living in Wilmington, North Carolina. Eddy was with him in Wilmington, six months pregnant. She had to make her way back to New Hampshire, 1,400 miles by train and steamboat, where her only child George Washington II was born on 12 September in her father's home. Her husband's death, the journey back, and the birth left her physically and mentally exhausted, and she ended up bedridden for months. She tried to earn a living by writing articles for the New Hampshire Patriot and various Odd Fellows and Masonic publications. She also worked as a substitute teacher in the New Hampshire Conference Seminary, and ran her own kindergarten for a few months in 1846, apparently refusing to use corporal punishment. Then her mother died in November 1849. Eddy wrote to one of her brothers: "What is left of earth to me!" Her mother's death was followed three weeks later by the death of her fiancé, lawyer John Bartlett. In 1850, Eddy wrote, her son was sent away to be looked after by the family's nurse; he was four years old by then. Sources differ as to whether Eddy could have prevented this. It was difficult for a woman in her circumstances to earn money and, according to the legal doctrine of coverture, women in the United States during this period could not be their own children's guardians. When their husbands died, they were left in a legally vulnerable position. A few months before my father's second marriage ... my little son, about four years of age, was sent away from me, and put under the care of our family nurse, who had married, and resided in the northern part of New Hampshire. I had no training for self-support, and my home I regarded as very precious. The night before my child was taken from me, I knelt by his side throughout the dark hours, hoping for a vision of relief from this trial. Eddy's methods are seen as being derived from the ideas of Phineas Quimby and homeopathy. In October 1862, Eddy became a patient of Phineas Quimby, a magnetic healer from Maine. From 1862 to 1865, Quimby and Eddy engaged in lengthy discussions about healing methods practiced by Quimby and others. The extent to which he influenced her is much debated. Originally, Eddy gave Quimby much credit for his hypnotic treatments of her nervous and physical conditions and initially thought his brand of mesmerism entirely benign. With this physical and mental depression I first visited P. P. Quimby, and in less than one week from that time I ascended by a stairway of one hundred and eighty-two-steps to the dome of the City Hall, and am improving ad in-finitum. To the most subtle reasoning, such a proof, coupled to as it is with numberless similar ones, demonstrates his power to heal. P. P. Quimby stands upon the plane of wisdom with his truth. Christ healed the sick, but not by jugglery or with drugs. As the former speaks as never man before spake, and heals as never man healed since. Christ, is he not identified with truth, and is not this the Christ which is in him? We know that in wisdom is life, `and the life was the light of man.' P. P. Quimby rolls away the stone from the sepulchre of error, and health is the resurrection. But we also know that light shineth in darkness, and the darkness comprehended it not. Quimby had his own notions concerning the nature of these unseen forces which Eddy accepted early on, but she later drew decidedly different opinions on the nature of thought on the body and rejected any form of hypnotism. It is evident that Eddy and Quimby worked together, appreciated one another, and learned from one another. Quimby reportedly later said that he learned more from Eddy than she did from him. Eddy clearly respected him and, at one point, referred to him as an "advanced thinker" with a "high and noble character." However, she later disavowed the hypnotic aspect of Quimby's methods. She refutes hypnotism in Science and Health with Key to the Scriptures, calling it mere deception practiced by those who aim to control the patient. She states, "The Christian Scientist demonstrates that divine Mind heals, while the hypnotist dispossesses the patient of his individuality in order to control him." On the third day thereafter, I called for my Bible, and opened it at Matthew, 9:2 [And, behold, they brought to him a man sick of the palsy, lying on a bed: and Jesus seeing their faith said unto the sick of the palsy; Son, be of good cheer; thy sins be forgiven thee. (King James Bible) ]. As I read, the healing Truth dawned upon my sense; and the result was that I arose, dressed myself, and ever after was in better health than I had before enjoyed. That short experience included a glimpse of the great fact that I have since tried to make plain to others, namely, Life in and of Spirit; this Life being the sole reality of existence. She later filed a claim for money from the city of Lynn for her injury on the grounds that she was "still suffering from the effects of that fall" (though she afterwards withdrew the lawsuit). Gill writes that Eddy's claim was probably made under financial pressure from her husband at the time. Her neighbors believed her sudden recovery to be a near-miracle. Eddy's attending physician Alvin M. Cushing, a homeopath, testified under oath that he "did not at any time declare, or believe, that there was no hope for Mrs. Patterson's recovery, or that she was in critical condition." Eddy wrote in her autobiography, Retrospection and Introspection, that she devoted the next three years of her life to biblical study and what she considered the discovery of Christian Science: "I then withdrew from society about three years,--to ponder my mission, to search the Scriptures, to find the Science of Mind that should take the things of God and show them to the creature, and reveal the great curative Principle, --Deity." It is plain that God does not employ drugs or hygiene, nor provide them for human use; else Jesus would have recommended and employed them in his healing. ... The tender word and Christian encouragement of an invalid, pitiful patience with his fears and the removal of them, are better than hecatombs of gushing theories, stereotyped borrowed speeches, and the doling of arguments, which are but so many parodies on legitimate Christian Science, aflame with divine Love. But she was never able to stay long in one family. She quarrelled successively with all her hostesses, and her departure from the house was heralded on two or three occasions by a violent scene. Her friends during these years were generally Spiritualists; she seems to have professed herself a Spiritualist, and to have taken part in séances. She was occasionally entranced, and had received "spirit communications" from her deceased brother Albert. Her first advertisement as a healer appeared in 1868, in the Spiritualist paper, The Banner of Light. During these years she carried about with her a copy of one of Quimby's manuscripts giving an abstract of his philosophy. This manuscript she permitted some of her pupils to copy. Eddy clearly distinguished Christian Science from Spiritualism in a chapter in Science and Health entitled Christian Science versus Spiritualism. According to Robert Peel, Eddy gave a public talk opposing Spiritualism in Warren, Maine in the spring of 1864. Hiram Crafts, a student of hers, stated in an affidavit: "At that date I was a Spiritualist, but her teachings changed my views on that subject and I gave up spiritualism." After she became well known, reports surfaced that Eddy was a medium in Boston at one time. At the time when she was said to be a medium there, she lived some distance away. She was also bedridden during that time. Peel has been challenged by other researchers who write that Eddy acted as a trance channeler and worked in and around Boston as a Spiritualist medium giving public séances for money. According to Gill, Eddy knew spiritualists and took part in some of their activities, but was never a convinced believer. For example, she visited her friend Sarah Crosby in 1864, who believed in Spiritualism. Eddy attempted to show Crosby the folly of it by pretending to channel Eddy's brother Albert and writing letters which she attributed to him. Between 1866 and 1870, Eddy boarded at the home of Brene Paine Clark who was interested in Spiritualism. Seances were often conducted there, but Eddy and Clark engaged in vigorous, good-natured arguments about them. Eddy's arguments against Spiritualism convinced at least one other who was there at the time—Hiram Crafts—that "her science was far superior to spirit teachings." Clark's son George tried to convince Eddy to take up Spiritualism, but he said that she abhorred the idea. According to Cather and Milmine, Mrs. Richard Hazeltine attended seances at Clark's home, and she said that Eddy had acted as a trance medium, claiming to channel the spirits of the Apostles. Eddy was also known for channeling messages from the dead brother of her friend Sarah Crosby. According to Martin Gardner, Eddy's mediumship converted Crosby to Spiritualism. Mary Gould, a Spiritualist from Lynn, claimed that one of the spirits that Eddy channeled was Abraham Lincoln. According to eyewitness reports cited by Cather and Milmine, Eddy was still attending séances as late as 1872. In these later séances, Eddy would attempt to convert her audience into accepting Christian Science. Eddy showed extensive familiarity with Spiritualist practice but denounced it in her Christian Science writings. Historian Ann Braude wrote that there were similarities between Spiritualism and Christian Science, but the main difference was that Eddy came to believe, after she founded Christian Science, that spirit manifestations had never really had bodies to begin with, because matter is unreal and that all that really exists is spirit, before and after death. Eddy divorced Daniel Patterson for adultery in 1873. She published her work in 1875 in a book entitled Science and Health (years later retitled Science and Health with Key to the Scriptures) which she called the textbook of Christian Science, after several years of offering her healing method. The first publication run was 1,000 copies, which she self-published. During these years, she taught what she considered the science of "primitive Christianity" to at least 800 people. Many of her students became healers themselves. The last 100 pages of Science and Health (chapter entitled "Fruitage") contains testimonies of people who claimed to have been healed by reading her book. She made numerous revisions to her book from the time of its first publication until shortly before her death. In 1877, she married Asa Gilbert Eddy; in 1882, they moved to Boston, and he died that year. Phineas Quimby by 1859 had connected his healing practices with the Christ of the New Testament. He also called his method of healing the "science of health" and the "science of Christ," and had used the term "Christian Science" to describe his work. According to the historian of science James C. Whorton, "In Quimby's mind, Christ and science were synonymous; his method of healing he thus called the Science of Christ and even, toward the close of his life, "Christian Science." Many critics of Eddy maintained that she basically stole all of her ideas from her longtime teacher, Phineas P. Quimby. It was he who had worked to develop the healing system that she adopted to be used as the base-doctrine in Christian Science. If she did not take all of his ideas, she, at the very least, based her system of healing on his basic treatises about mental healing. Eddy found that while at first hypnotism seemed to benefit the patient, it later created more problems than the original sickness. Ultimately she rejected any form of hypnotism or mesmerism, stating: "The hypnotizer employs one error to destroy another. If he heals sickness through a belief, and a belief originally caused the sickness, it is a case of the greater error overcoming the lesser. This greater error thereafter occupies the ground, leaving the case worse than before it was grasped by the stronger error." Mrs. Eddy quoted certain passages from the English edition of the Bhagavad-Gita, but unfortunately, for some reason, those passages of the Gita were omitted in the 34th edition of the book, Science and Health ... if we closely study Mrs. Eddy's book, we find that Mrs. Eddy has incorporated in her book most of the salient features of Vedanta philosophy, but she denied the debt flatly. The Christian Science movement in America was possibly influenced by India. The founder of this movement, Mary Baker Eddy, in common with the Vedantins, believed that matter and suffering were unreal, and that a full realization of this fact was essential for relief from ills and pains ... The Christian Science doctrine has naturally been given a Christian framework, but the echoes of Vedanta in its literature are often striking. The association of Christian Science with Eastern religion would seem to have had some basis in Mrs Eddy's own writings. For in some early editions of Science and Health she had quoted from and commented favorably upon a few Hindu and Buddhist texts ... None of these references, however, was to remain a part of Science and Health as it finally stood ... Increasingly from the mid-1880s on, Mrs Eddy made a sharp distinction between Christian Science and Eastern religions. In regards to the influence of Eastern religions on her discovery of Christian Science, Eddy states in The First Church of Christ, Scientist and Miscellany: "Think not that Christian Science tends towards Buddhism or any other 'ism'. Per contra, Christian Science destroys such tendency." Mary Baker G. Eddy in later years. Eddy devoted the rest of her life to the establishment of the church, writing its bylaws, The Manual of The Mother Church, and revising Science and Health. By the 1870s she was telling her students, "Some day I will have a church of my own." In 1879 she and her students established the Church of Christ, Scientist, "to commemorate the word and works of our Master [Jesus], which should reinstate primitive Christianity and its lost element of healing." In 1892 at Eddy's direction, the church reorganized as The First Church of Christ, Scientist, "designed to be built on the Rock, Christ. ... " In 1881, she founded the Massachusetts Metaphysical College, where she taught approximately 800 students between the years 1882 and 1889, when she closed it. Eddy charged her students $300 each for tuition. This was a large sum for the period and generated considerable controversy. Her students spread across the country practicing healing, and instructing others. Eddy authorized these students to list themselves as Christian Science Practitioners in the church's periodical, The Christian Science Journal. She also founded the Christian Science Sentinel, a weekly magazine with articles about how to heal and testimonies of healing. In 1888, a reading room selling Bibles, her writings and other publications opened in Boston. This model would soon be replicated, and branch churches worldwide maintain more than 1,200 Christian Science Reading Rooms today. In 1894 an edifice for The First Church of Christ, Scientist was completed in Boston (The Mother Church). In the early years Eddy served as pastor. In 1895 she ordained the Bible and Science and Health as the pastor. Eddy founded The Christian Science Publishing Society in 1898, which became the publishing home for numerous publications launched by her and her followers. In 1908, at the age of 87, she founded The Christian Science Monitor, a daily newspaper. She also founded the Christian Science Journal in 1883, a monthly magazine aimed at the church's members and, in 1898, the Christian Science Sentinel, a weekly religious periodical written for a more general audience, and the Herald of Christian Science, a religious magazine with editions in many languages. The converse of mental healing was the use of mental powers to destroy people's health – what Eddy termed "malicious animal magnetism." She was concerned that a new practitioner could inadvertently harm a patient through unenlightened use of their mental powers, and that less scrupulous individuals could use such powers as a weapon. Eddy believed that former students actually had the power to commit "mental assassination". After a breakup with one of her early protégés, Daniel H. Spofford, she thought he was using mental malpractice to undermine her Christian Science practice. In a celebrated case (1878) that earned her much negative publicity, she took part in a lawsuit against Spofford, claiming that he deliberately practiced malicious mesmerism on one of her unhealed patients, Lucretia Brown. Irreverently dubbed "The Second Salem Witch Trial", the suit was eventually thrown out of court. The belief in malicious animal magnetism "remains a part of the doctrine of Christian Science." In an article entitled "Malicious Animal Magnetism" published in the Christian Science Journal, February 1889, Eddy wrote that mental assassination was one of the greatest crimes and that anyone practicing it should be put to death by a human executioner. Several persons committed suicide because of the fear of malicious animal magnetism. 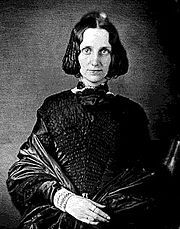 Mary Tomlinson, a student of Mary Baker Eddy, committed suicide by throwing herself out of a window. Another Christian Scientist Marion Stephens committed suicide by gassing herself in a bathroom. In her later years Eddy apparently became paranoid, believing that 50,000 people were trying to kill her by projecting their evil thoughts. Eddy wrote that if she died it would be due to malicious animal magnetism rather than from natural causes. There is controversy about how much Eddy used morphine. One biography describes Eddy as a morphine addict. Miranda Rice, a friend and close student of Eddy, told a newspaper in 1906: "I know that Mrs. Eddy was addicted to morphine in the seventies." A diary kept by Calvin Frye, Eddy's personal secretary, suggests that Eddy occasionally reverted to "the old morphine habit" when she was in pain. Gillian Gill writes that the prescription of morphine was normal medical practice at the time, and that "I remain convinced that Mary Baker Eddy was never addicted to morphine." Eddy recommended to her son that, rather than go against the law of the state, he should have her grandchildren vaccinated. She also paid for a mastectomy for her sister-in-law. Eddy was quoted in the New York Herald on 1 May 1901: "Where vaccination is compulsory, let your children be vaccinated, and see that your mind is in such a state that by your prayers vaccination will do the children no harm. So long as Christian Scientists obey the laws, I do not suppose their mental reservations will be thought to matter much." Eddy used glasses for several years for very fine print, but later dispensed with them almost entirely. She found she could read fine print with ease. In 1907 Arthur Brisbane interviewed Eddy. At one point he picked up a periodical, selected at random a paragraph, and asked Eddy to read it. According to Brisbane, at the age of eighty six, she read the ordinary magazine type without glasses. Towards the end of her life she was frequently attended by physicians. In 1907, in the course of a legal case, four psychiatrists interviewed Eddy, then 86 years old, to determine whether she could manage her own affairs, and concluded that she was able to. Physician Allan McLane Hamilton told The New York Times that the attacks on Eddy were the result of "a spirit of religious persecution that has at last quite overreached itself," and that "there seems to be a manifest injustice in taxing so excellent and capable an old lady as Mrs. Eddy with any form of insanity." A 1907 article in the Journal of the American Medical Association noted that Eddy exhibited hysterical and psychotic behaviour. Psychiatrist Karl Menninger in his book The Human Mind (1927) cited Eddy's paranoid delusions about malicious animal magnetism as an example of a "schizoid personality". Psychologists Leon Joseph Saul and Silas L. Warner, in their book The Psychotic Personality (1982), came to the conclusion that Eddy had diagnostic characteristics of Psychotic Personality Disorder (PPD). In 1983, psychologists Theodore Barber and Sheryl C. Wilson suggested that Eddy displayed traits of a fantasy prone personality. 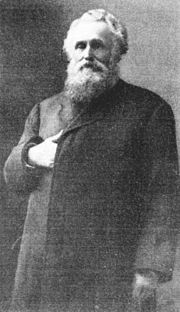 Psychiatrist George Eman Vaillant wrote that Eddy was hypochrondriacal. Psychopharmacologist Ronald K. Siegel has written that Eddy's lifelong secret morphine habit contributed to her development of "progressive paranoia". Eddy died on the evening of December 3, 1910 at her home at 400 Beacon Street, in the Chestnut Hill section of Newton, Massachusetts. Her death was announced the next morning, when a city medical examiner was called in. She was buried on December 8, 1910 at Mount Auburn Cemetery in Cambridge, Massachusetts. Her memorial was designed by New York architect Egerton Swartwout (1870–1943). Hundreds of tributes appeared in newspapers around the world, including The Boston Globe, which wrote, "She did a wonderful—an extraordinary work in the world and there is no doubt that she was a powerful influence for good." Currently, there are almost 1,700 Christian Science churches in 76 countries. For more than a century, The Christian Science Journal and the Christian Science Sentinel have been publishing accounts of restored health based on the system of care that Eddy taught. In 1921, on the 100th anniversary of Eddy's birth, a 100-ton (in rough) and 60–70 tons (hewn), pyramid with a 121 square foot footprint was dedicated on the site of her birthplace in Bow, New Hampshire. A gift from James F. Lord, it was dynamited in 1962 by order of the church's board of directors. Also demolished was Eddy's former home in Pleasant View, as the board feared that it was becoming a place of pilgrimage. 1908–1910 – 400 Beacon Street, Dupee Estate-Mary Baker Eddy Home, Chestnut Hill, Newton, Massachusetts. William R. Rathvon, student of Eddy, early Christian Scientist and lone person to leave an audio recording of his hearing Lincoln's Gettysburg Address at the age of nine. Bliss Knapp, a child when the church was in its formative years. Later, he was a teacher and also lectured for 21 years. His father was one of the first Directors of The Mother Church. Knapp's Book, The Destiny of the Mother Church, which was rejected by the Church but privately published, was quite controversial, and Knapp's opinions of Eddy remain controversial to this day in the Christian Science Church. Augusta Emma Stetson, pastor and later First Reader of First Church of Christ, Scientist (New York, New York), excommunicated by the Mother Church in 1909. ^ "Pulitzer Prizes - CSMonitor.com". www.pulitzer.org. Retrieved February 18, 2018. ^ Ernest Sutherland Bates and John V. Dittemore, Mary Baker Eddy: The Truth and the Tradition, A. A. Knopf, 1932, 3. ^ Mary Baker Eddy, Retrospection and Introspection, Christian Science Publishing Society, 1891, 13. ^ Willa Cather and Georgine Milmine, "Mary Baker G. Eddy: The Story of Her Life and the History of Christian Science", McClure's, January 1907, 232. ^ Mary Baker Eddy, The First Church of Christ, Scientist, and Miscellany, Christian Science Publishing Society, 1913, 308; Mary Baker Eddy, "Reply to McClure's Magazine", Christian Science Endtime Center, undated. ^ a b Eddy, The First Church of Christ, Scientist, and Miscellany, 309. ^ Bates and Dittemore 1932, 4–5. ^ Cather and Milmine, McClure's, January 1907, 232. ^ Cather and Milmine, McClure's, January 1907, 229. ^ Cather and Milmine, McClure's, January 1907, 230, 234. ^ Bates and Dittemore 1932, 7. ^ Caroline Fraser, God's Perfect Child, Metropolitan Books, 1999, 35. ^ Cather and Milmine, McClure's, January 1907, 236; Bates and Dittemore 1932, 7. ^ Robert Peel, Mary Baker Eddy: The Years of Discovery, Holt, Rinehart and Winston, 1966, p. 45. ^ Gillian Gill, Mary Baker Eddy, Da Capo Press, 1998, 39–47. ^ Mary Baker Eddy, Science and Health, 1st edition, Christian Science Publishing Company, 1875, 189–190. ^ Cather and Milmine, McClure's, January 1907, 235. ^ Eddy, Retrospection and Introspection, 10. ^ Bates and Dittemore 1932, 16–17, 25. ^ Eddy, Retrospection and Introspection, 14–15; Cather and Milmine, McClure's, January 1907, 237. 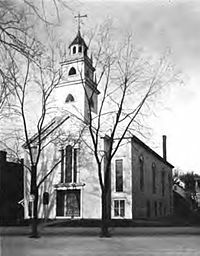 ^ Eddy, The First Church of Christ, Scientist, and Miscellany, 311: "My reply to the statement that the clerk's book shows that I joined the Tilton Congregational Church at the age of seventeen is that my religious experience seemed to culminate at twelve years of age. Hence a mistake may have occurred as to the exact date of my first church membership." ^ Stephen Gottschalk, Rolling Away the Stone, Indiana University Press, 2006, 62–64. ^ Eddy Retrospection and Introspection, 20. ^ a b Fraser 1999, 38. ^ "Women and the Law", Women, Enterprise & Society, Harvard Business School, 2010: "A married woman or feme covert was a dependent, like an underage child or a slave, and could not own property in her own name or control her own earnings, except under very specific circumstances. When a husband died, his wife could not be the guardian to their under-age children." ^ a b Gill 1998, 86–87. ^ a b Eddy, Retrospection and Introspection, 20–23. ^ Rennie Schoepflin, "Christian Science", in Paul S. Boyer (ed. ), The Oxford Companion to United States History, Oxford University Press, 2001, 119. ^ Robert Peel, Mary Baker Eddy: The Years of Discovery, Holt, Rinehart and Winston, 1971, Chapter 6, Sections I, II. ^ Quimby papers, Library of Congress, Vol. 6, 112. ^ Paul Buchanan, American Women's Rights Movement: A Chronology of Events and of Opportunities from 1600 to 2008, Branden Books, 2009, 80–81. ^ Lyman Powell, Christian science, the faith and its founder, G.P. Putnam's sons, 1917, 31. ^ Cather and Milmine 1909, 60. ^ Peel 1971, 172, 183. ^ Martin Gardner, The Healing Revelations of Mary Baker Eddy, Prometheus Books, 1993. ^ Eddy, Retrospection and Introspection, 8–9, 22, 24–5. ^ Eddy, Science and Health with Key to the Scriptures, 143:5, 367:3. ^ Frank Podmore, Mesmerism and Christian Science: A Short History of Mental Healing, George W. Jacobs and Company, 1909, 262, 267–268. ^ a b Peel 1966, 133. ^ John Ankerberg, The Facts on the Mind Sciences, Atri Publishing, 2011. ^ Sybil Wilbur, "The Story of the Real Mrs. Eddy," Human Life, March 1907, 10. ^ Cather and Milmine, McClure's, May 1907, 108. ^ Cather and Milmine 1909, 64–68, 111–116. ^ Cather nd Milmine, 1909. Also see Robert Hall, The Modern Siren, H. L. Thatcher, 1916 (archive.org). ^ Ann Braude, Radical Spirits: Spiritualism and Women's Rights in Nineteenth-Century America, Indiana University Press, 2001, 186. ^ Robert Peel, Mary Baker Eddy, The Years of Authority, Holt, Rinehart and Winston, 1977, 483, n. 104. ^ Walter Martin, The Kingdom of the Cults, Bethany House Publishers, 2003, 151. ^ James C. Whorton, Nature Cures: The History of Alternative Medicine in America, 119. ^ Eddy, Science and Health, 104:22–28. ^ Swami Prajnanananda, The Philosophical Ideas of Swami Abhedananada, Calcutta: Ramakrishna Vedanta Math, 1971, 164. ^ Maya Nanda, Vivekananda: His Gospel of Man-making with a Garland of Tributes and a Chronicle of his Life and Times, with Pictures, Swami Jyotirmayananda, 1993, 480; Timothy Miller, America's Alternative Religions, State University of New York, 1995, 174. ^ Damodar Singhal, Modern Indian Society and Culture, Meenakshi Prakashan, 1980, 136. ^ Wendell Thomas, Hinduism Invades America, The Beacon Press, Inc., 1930, 228–234 (archive.org). ^ Stephen Gottschalk, The Emergence of Christian Science in American Religious Life, University of California Press, 1973, 152–153. ^ Robert Peel, Mary Baker Eddy, The Years of Trial, Holt, Rinehart and Winston, 1971, 62. ^ Eddy, Church Manual of The First Church of Christ, Scientist, 1910, 17–18. ^ Eddy, Church Manual of The First Church of Christ, Scientist, 1910, 18–19. ^ Peel 1977, 483, n. 104. ^ Eric Caplan, Mind Games: American Culture and the Birth of Psychotherapy, University of California Press, 2001, 75. ^ A New Home," The Christian Science Journal, September 1888, 317. ^ See Christian Science Reading Room listings in current edition of the Christian Science Journal. ^ NOTES: Eddy, Manual of the Mother Church, 58. ^ Peel 1977, 415, n. 121. ^ Laurence Moore, Religious Outsiders and the Making of Americans, Oxford University Press, 1986. ^ Ruth A. Tucker, Another Gospel: Cults, Alternative Religions, and the New Age Movement, 157. 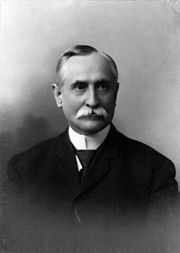 ^ John S. Haller, American Medicine in Transition, 1840-1910, 139. ^ Eugene Gallagher; Michael W. Ashcroft, Introduction to New and Alternative Religions in America, 93. ^ William Williams, Encyclopedia of Pseudoscience: From Alien Abductions to Zone Therapy. Facts on File, 2000. ^ Frederick W. Peabody, Religio-Medical Masquerade, 172. ^ Charles Locke, Eddyism: Is it Christian? Is it Scientific? How Long Will it Last?, Grafton Publishing Company, 1911, 39. ^ Edwin Dakin, Mrs. Eddy: the biography of a virginal mind, Blue Ribbon Books, 1930, 462. ^ "Lay Eddyite Suicide to 'Death Thought'. Malicious Animal Magnetism" Said to Have Caused Miss Stephens to End Her Life", The New York Times. ^ Bates and Dittemore 1932. ^ Fleta Springer, According to the Flesh: A Biography of Mary Baker Eddy, Coward-McCann, 1930, 299. ^ Eddy, General Miscellany, 344–345. ^ Peel 1977, 108–109, 411, n. 65. ^ Arthur Brisbane, "An Interview with Mrs. Eddy," Cosmopolitan Magazine, August 1907. ^ Rodney Stark, "The Rise and Fall of Christian Science", Journal of Contemporary Religion, 13(2), 1988, 189–214. ^ Bates and Dittemore 1932, 411, 413, 417. ^ The New York Times 1907. ^ Anonymous. (1907). Mrs. Mary Baker Eddy’s Case of Hysteria. Journal of the American Medical Association 7: 614-615. ^ Leon Saul and Silas Warner, The Psychotic Personality, Van Nostrand Reinhold, 1982, 287–288. ^ Wilson, Sheryl C; Barber, Theodore X. (1983). The Fantasy-Prone Personality. In Anees A. Sheikh. Imagery: Current Theory, Research and Application. New York: John Wiley & Sons. pp. 340-387. ^ "Mrs. Eddy Dies Of Pneumonia; No Doctor Near", The New York Times, December 5, 1910: "Mrs. Mary Baker Eddy, founder of the Church of Christ, Scientist, died Saturday night at 10:45 o'clock. The death was kept a secret until this morning, when a city medical examiner was called in. It was first publicly announced at the Mother Church this morning. Mrs. Eddy was in her ninetieth year." ^ "Mrs. Eddy's Life and Achievement," The Boston Globe, December 5, 1910, 4. ^ See Christian Science Church listings in current issue of The Christian Science Journal. ^ Andrew W. Hartsook, Christian Science After 1910, Bookmark, 1994, 25–28. ^ "Mary Baker Eddy Historic Houses". Longyear Museum. Retrieved December 4, 2017. Frederick W. Peabody, Complete Exposure of Eddyism or Christian Science: The Plain Truth in Plain Terms Regarding Mary Baker G. Eddy, 1904 . Willa Cather and Georgine Milmine, "Mary Baker G. Eddy", McClure's, December 1906 – June 1908. Sibyl Wilbur, The Life of Mary Baker Eddy, The Christian Science Publishing Society, 1907. Lyman Pierson Powell, Christian Science: The Faith and Its Founder, G. P. Putnam's Sons, 1907. Arthur Brisbane, Mary Baker G. Eddy, The Ball Publishing Company, 1908. Michael Meehan, Mrs. Eddy and the Late Suit in Equity, 1908. Willa Cather and Georgine Milmine, The Life of Mary Baker G. Eddy and the History of Christian Science, Doubleday 1909 (archive.org). Frederick W. Peabody, The Religio-Medical Masquerade: A Complete Exposure of Christian Science, Revell, 1915. Robert A. Hall, The Modern Siren, New York, 1916. Myra B. Lord, Mary Baker Eddy: A Concise Story of Her Life and Work, Davis & Bond, 1918. James H. Snowden, Truth About Christian Science the Founder and the Faith, 1920. Samuel P. Bancroft, Mrs. Eddy as I Knew Her in 1870, Geo H. Ellis Co, 1923. Adam H. Dickey, Memoirs of Mary Baker Eddy, Robert G. Carter, 1927. Edwin Franden Dakin, Mrs. Eddy, the Biography of a Virginal Mind, C. Scribner's Sons, 1929. Lyman Pierson Powell, Mary Baker Eddy: A Life Size Portrait, The Christian Science Publishing Society, 1930. Fleta Campbell Springer, According to the Flesh, Coward-McCann, 1930. Hugh Evelyn Wortham, Three Women: St. Teresa, Madame de Choiseul, Mṛṣ Eddy, Little, Brown and Company, 1930. Hugh A. Studdert Kennedy, Mrs. Eddy as I Knew Her: Being Some Contemporary Portraits of Mary Baker Eddy, the Discoverer and Founder of Christian Science, The Farallon Press, 1931. Ernest Sutherland Bates and John V. Dittemore, Mary Baker Eddy: The Truth and the Tradition, A. A. Knopf, 1932. Stefan Zweig, Die Heilung durch den Geist: Mesmer, Freud, Mary Baker Eddy, 1932 (Mental Healers: Franz Anton Mesmer, Mary Baker Eddy, Sigmund Freud, Viking, 1932). Walter M. Haushalter, Mrs. Eddy Purloins from Hegel, A. A. Beauchamp, 1936. Irving C. Tomlinson, Twelve Years with Mary Baker Eddy, Christian Science Publishing Society, 1945. Paul Lomaxe, Mary Baker Eddy: Spiritualist Medium, General Assembly of Spiritualists, 1946. Norman Beasley, The Cross and the Crown, the History of Christian Science, Duell, Sloan and Pearce, 1952. Walter Ralston Martin, The Christian Science Myth, Zondervan Publishing House, 1955. Robert Peel, Mary Baker Eddy: The Years of Discovery, Holt, Rinehart and Winston, 1966. Robert Peel, Mary Baker Eddy: The Years of Trial, Holt, Rinehart and Winston, 1971. Robert Peel, Mary Baker Eddy: The Years of Authority, Holt, Rinehart and Winston, 1977. Julius Silberger, Mary Baker Eddy, An Interpretive Biography of the Founder of Christian Science, Little, Brown, 1980. Martin Gardner, The Healing Revelations of Mary Baker Eddy, Prometheus Books, 1993. David Thomas, With Bleeding Footsteps: Mary Baker Eddy's Path to Religious Leadership, Knopf, 1994. Richard A. Nenneman, Persistent Pilgrim: The Life of Mary Baker Eddy, Nebbadoon Press, 1997. Gillian Gill, Mary Baker Eddy, Da Capo Press, 1998. Yvonne Cache von Fettweis and Robert Townsend Warneck, Mary Baker Eddy: Christian Healer, Christian Science Publishing Company, 1998. Doris Grekel, The Discovery of the Science of Man: The Life of Mary Baker Eddy (1821–1888), Healing Unlimited, 1999. Doris Grekel, The Founding of Christian Science: The Life of Mary Baker Eddy (1888–1900), Healing Unlimited, 1999. Doris Grekel, The Forever Leader: The Life of Mary Baker Eddy (1901–1910), Healing Unlimited, 1999. Caroline Fraser, God's Perfect Child: Living and Dying in the Christian Science Church, Metropolitan Books, 1999. Stephen Gottschalk, Rolling Away the Stone: Mary Baker Eddy's Challenge to Materialism, Indiana University Press, 2006. Norwood, Arlisha. "Mary Eddy". National Women's History Museum. 2017.